Before we get to the goodies part, I want to tell you a bit more about Little Fawn Designs, their products, and, as well, present you an S.O.S. Mom review. This Etsy shop, located in Manitoba Canada, is owned by the extremely sweet Jenna, who has a true and undeniable talent. 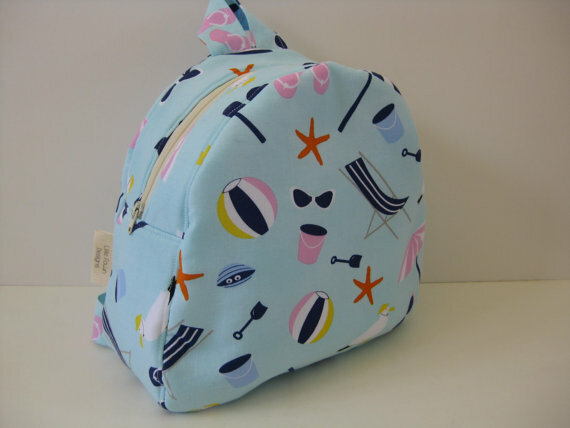 Her shop offers adorable backpacks, original cosmetic bags, fun pouches and neat diaper clutches. Each and every single item is handmade, thus allowing you to personalize your purchase by selecting your own pattern from her wonderful collection. When I received my own toddler backpack for reviewing purposes, I was wowed. I had seen the pictures, but the real thing was, by far, cuter. Stunning fabric, impressive quality and just the right size for a toddler. I also cannot forget to mention how stupendously lightweight the backpack is. With its approximate 9.5" width, 9.5" height and 3.5" depth, this backpack sits perfectly on my son's shoulders and back. Furthermore, one aspect I wanted to put to the test was its capacity. Evidently, a toddler will not be carrying a heavy load of books or schooling material. But if a toothbrush is the only thing the backpack can carry, we're in a pickle! 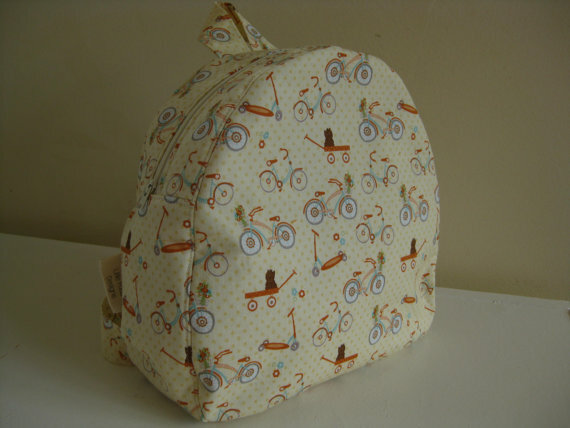 Rest assured, Little Fawn Designs' bags provide you with the necessary room to fit all your little one's essentials and more! Just to give you an overall idea, I was able to fit 5 books inside (see picture below). 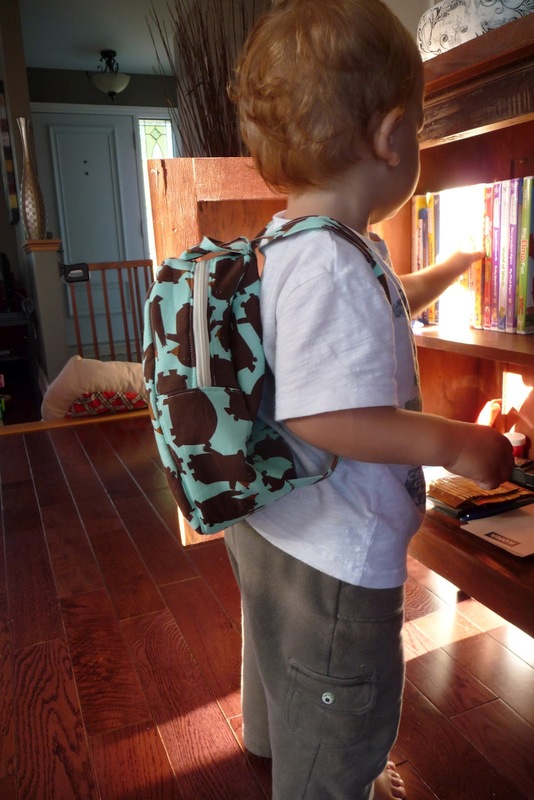 The 14" long straps allowed my son to put and remove the backpack with great ease. Overall, if anyone would tell me they're looking for a toddler backpack, I would, without hesitation, send them straight to Jenna's shop. Her items are fun, cute, durable and made with love. All the main ingredients to make a sensational backpack! She offers a remarkably friendly and efficient service, highly affordable prices, products made to your absolute liking and cheap shipping to both Canada and the US. 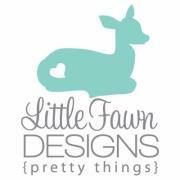 I therefore strongly encourage you to visit the Little Fawn Designs shop on Etsy, on Facebook (and please, please, please do me a favour and like her page too! ), or on its newly created blog. Now it's your turn to own one of these fantastic toddler backpacks! Enter the following S.O.S. 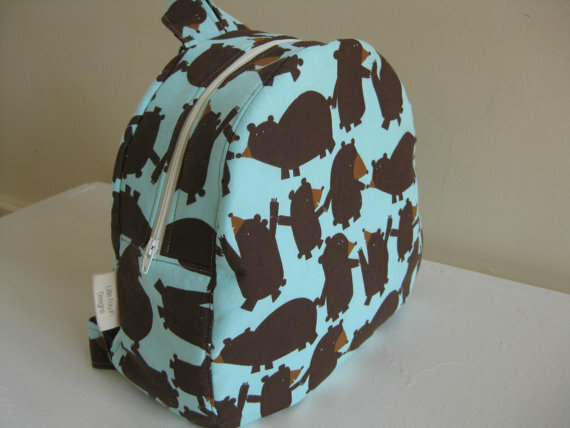 Mom giveaway for your chance to win a Little Fawn Designs toddler backpack of your choice! The four available designs appear hereafter. The contest is open to residents of Canada and US and will run from September 5th to the 15th, 12:01am EST. awesome backpacks babe, thanks for letting me be a part of this! you rock. not sure if my comment went through. thank for hosting and letting me be a part of this! They are so cute! All of them! WOW these are so cute! My son would LOVE the green cars backpack. What a nice giveaway! So the BEEP BEEP vehicles one it is! So cute!! I really like the small pouch with cute pink waves with lace and teal ruffle. The Beep Beep vehicles for sure. Our son would love having his own backpack! I like the Beep Beep Vehicles as well. Such cute fabric. I'm loving the Bright Floral cosmetic bag! The Beep Beep backpack! My son LOVES cars and this would be perfect for him! I like the Beep beep vehicles Toddler Backpack the best. I love the toddler backbacks! I love the Bears in a line Toddler backpack! Bears in a line Toddler Backpack is my favourite! 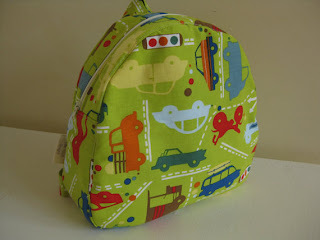 I love the Beep beep vehicles Toddler Backpack, my grandson is crazy about vehicles! I like everything, but the beep beep backpack is my favourite! The Bears in a line Toddler Backpack is my favorite. the backpacks are cute, and so is the floral cosmetic bag. I like the Beep beep vehicles Toddler Backpack! 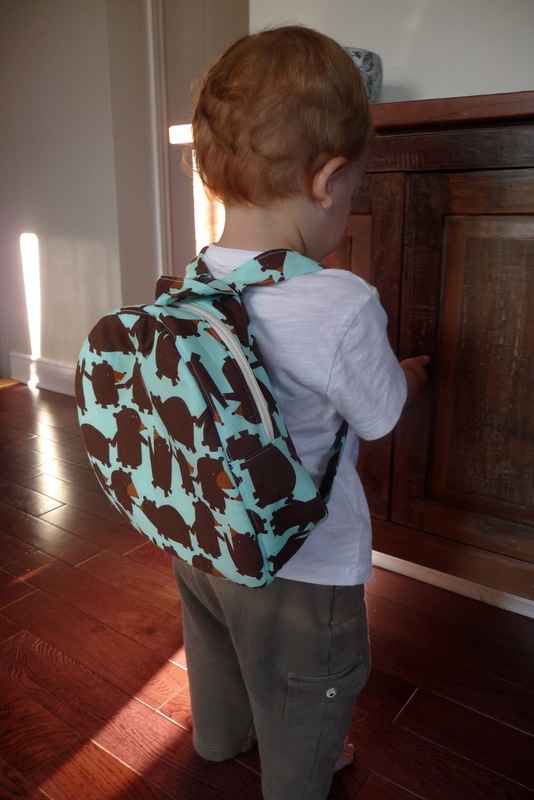 the bears in a line toddler backpack! Thanks! The backpacks are so cute! Thanks for the opportunity! My 2 year old son picked the Beep beep vehicles Toddler Backpack! I know a friend that could use this, her daughter would love this. Thank You!!! I love the Bears In A Line toddler backpack or the vintage bicycles backpack best! I love everything in the shop! B=Very beautiful designs and high quality fabrics!! I like the Bears in a Line backpack! Small pouch, pink waves with lace and teal ruffle is sooooo adorable!! So adorable. I would like one of these! I had seen the pictures, but the real thing was, by far, cuter. Stunning fabric, impressive quality and just the right size for a toddler.